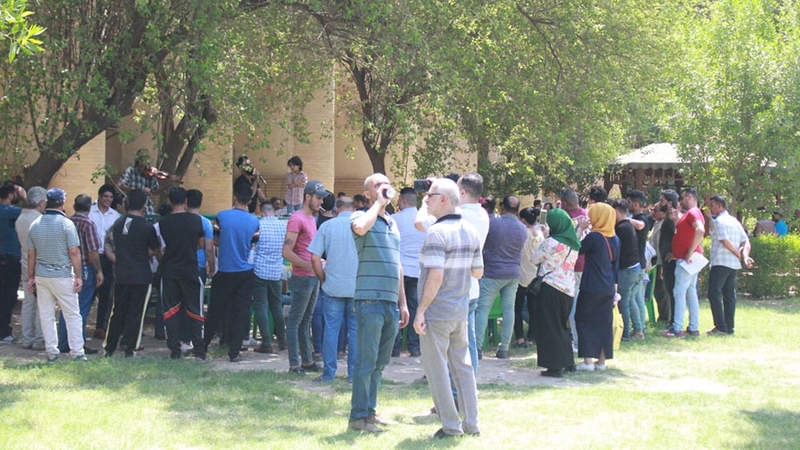 Baghdad, Iraq - It is Friday afternoon and a lively and diverse crowd starts to gather under a blazing August sun on the banks of the Tigris River, just metres away from al-Mutanabi Street, the Iraqi capital's historic bookselling centre. For several years now, al-Qishla, an Ottoman military barracks-turned-cultural-hub in the heart of Baghdad, has become a space where intellectuals, poets and artists come together to exchange ideas and discuss current affairs. Regular attendees say al-Qishla provides residents with a safe avenue to share views freely, as well as a sliver of hope that Baghdad - once a major international intellectual and cultural hub - may return to a shadow of its former self before successive wars that gripped the country for decades left it in decay. 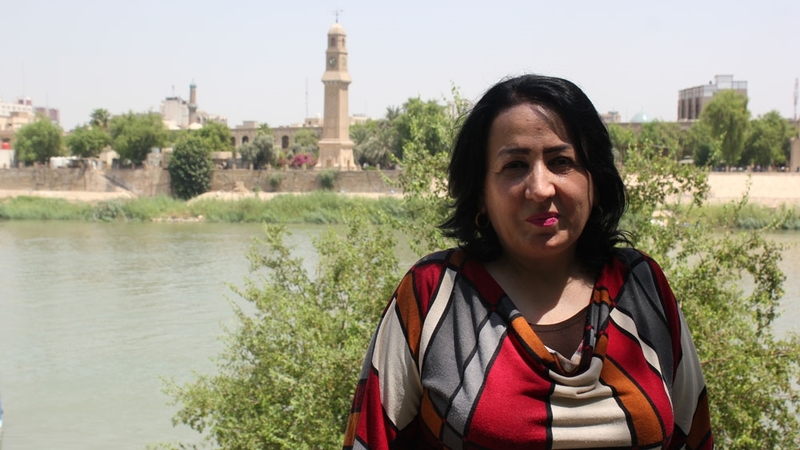 Shatha Faraj, a 52-year-old poet and journalist who has been attending the weekly events for the past four years, says al-Qishla is a space that "poets and artists flock to breathe". "It is a place where we feel alive as we sense a bit of Iraq's beauty and history again," she adds. Omar Ahmed, a 28-year-old lawyer, says he and his friends come here every week. "We discuss everything from the protests to the economic woes facing Iraq," he says, shortly before attending a discussion on US and Iranian involvement in Iraqi politics. "We don't just criticise, we try to find solutions as well." Baghdad was founded in the eighth century during the Abbasid era. Strategically located in the heart of several vital trade routes, it was for centuries a leading centre of commerce and learning, attracting philosophers, scholars and scientists from around the globe. Baghdad was the city where a large corpus of Greek philosophy was translated into Arabic, with its House of Wisdom - initially built as a private library by the ruler Harun al-Rashid - grew into housing the largest selection of books on medicine, philosophy and science in the ninth century. Al-Qishla's two-story building was built by the Ottomans in 1861 to serve as an administrative centre and as the headquar­ters of their forces. In 1868, the Ottoman military erected a 23-metre high tower in the barracks' gardens and placed a clock in it - gifted by Britain's King George V - to help soldiers wake up on time. 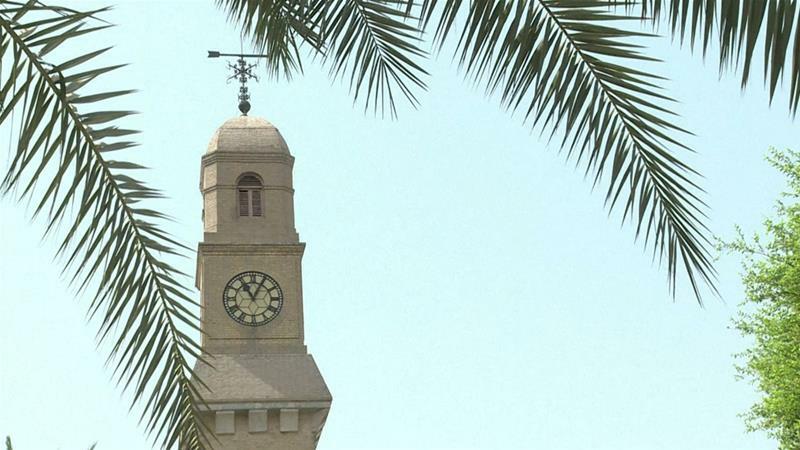 The monumental clock tower stands to this day, serving as al-Qishla's key landmark. The site, which housed British officers during the British mandate period in the early 1920s, also hosted the coronation of King Fais­al I, the first monarch of modern-day Iraq, and his successor King Ghazi. After the establishment of the Iraqi republic in the 1950s, al-Qishla's significance gradually diminished over the decades, before suffering further neglect and destruction - like other heritage sites in Iraq - in the wake of the US-led invasion in 2003. But in 2012, Baghdad's provincial council dedicated funds to restore parts of the site, in an attempt to revitalise it as a cultural space. After its March 2013 reopening, the site has been welcoming every Friday a wide array of visitors who get the chance to engage in political debate, watch performances and attend art exhibitions and poetry readings. "Baghdad was a cultural and literary centre in the past. Since al-Qishla's been restored, it attracts increasing numbers of intellectuals, artists and critics every week," says Mazen Razouki, head of the tourism and heritage committee at the Baghdad provincial council, noting that only the first restoration phase has been completed due to limited funds. "It is the place where people who love their country can express themselves freely = and that is exactly what we need in Iraq," adds Razouki, comparing al-Qishla to the famed speakers' corner in London's Hyde Park. "Both are spaces for free expression, but while Hyde Park is near the centre of government and the queen's palace, al-Qishla is far removed - both physically and psychologically - from the Green Zone." The Green Zone is a 10-square kilometer area in central Baghdad where most of the government buildings and foreign missions have been based since the US-led invasion. Despite their stark differences, with the Green Zone being off-limits to members of the pubic, many Baghdad residents refer to al-Qishla as the "old Green Zone" for being the city's former administrative centre. In recent weeks, violent protests demanding better services, jobs and an end to government corruption spread in different parts of Iraq, including in Baghdad's Tahrir square where tear gas was used against the demonstrators. Al-Qishla is also seen as a gathering space for government critics, but those visiting the site are left undisturbed. "Although many critics of the government who protest in Tahrir also attend al-Qishla's weekly events, there is a big difference between the two spaces," says Razouki. "Al-Qishla is an intellectual hub where the literary classes gather, whereas Tahrir brings together the most exhausted societal groups who have nowhere else to voice their demands and frustrations," he adds. Faraj, the journalist, says the government "definitely" does not support the activities of those attending the events at al-Qishla. 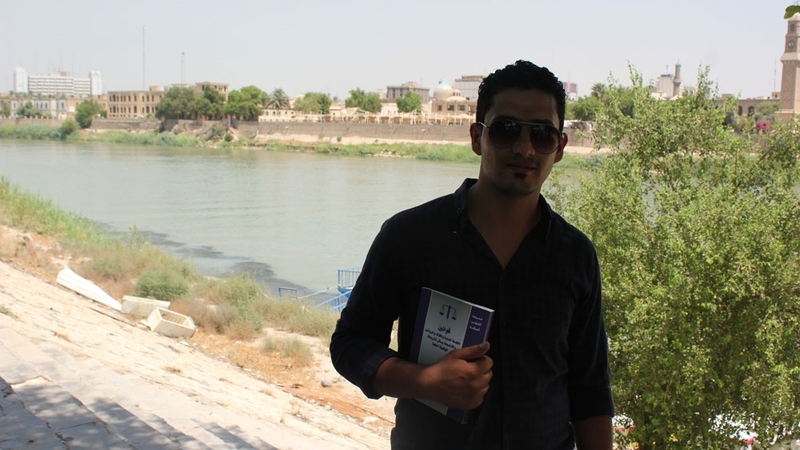 "Real freedom of expression is something we only wish to realise in Iraq one day," says Faraj. Despite Baghdad's victory over ISIL in December 2017, feelings of apathy and dissatisfaction over chronic mismanagement and lack of economic opportunity still run deep across Iraq - as evidenced in May's parliamentary election where 44 percent of eligible voters - a record low - cast their ballots. But for Abu Hussein, a 70-year-old retired teacher, al-Qishla brings hope for a better future. "When I come to al-Qishla and al-Mutanabi Street, I'm taken back to the united and strong Iraq it once was," says Abu Hussein, as he packs a stack of newly-purchased books into his bag. "I'm reminded of the glory, heritage and courage that were once Baghdad. "I tell everyone who is feeling down about our conditions to come to al-Qishla," adds Abu Hussein, as makes his way to a debate on secularism.